McKinney, Texas is a new city for frequent contributor Nick, but his packages haven't changed from the ones he used to send from Allen, Texas. 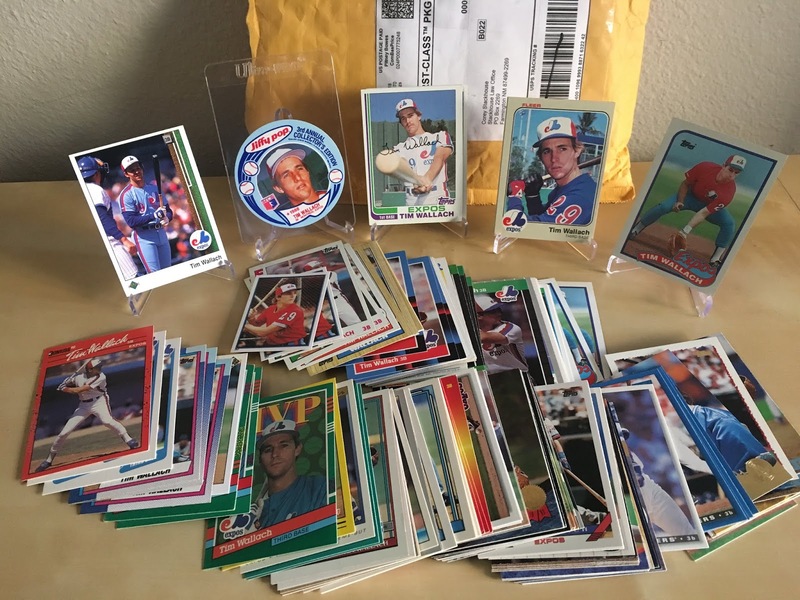 Nick is a fellow Tim Wallach card collector, but thankfully he's happy with one of each card and more than willing to share his doubles. This one included 135 cards. Not bad. I've tried to help him out with a few he may not have from time to time, but it's tough to do given how thorough his collection is. Some of the highlights included in this lot were a 1993 Stadium Club Dodgers card, a 1993 Pacific, and a 1988 Jiffy Pop Disc. 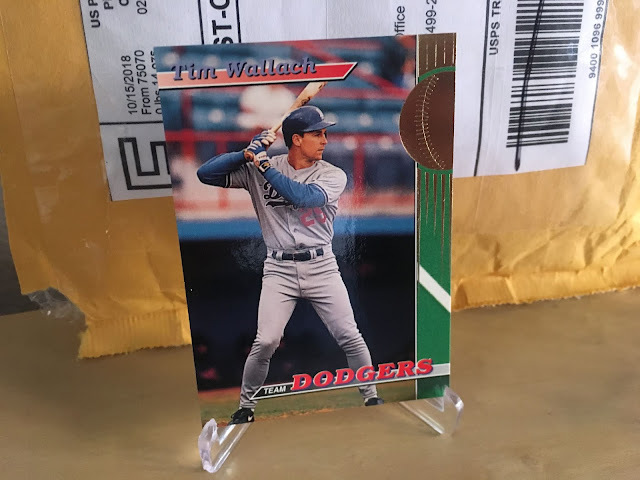 It's only my 6th copy of the Stadium Club Dodgers card and the first one to cross my path since 2013. The '93 Pacific and '88 Jiffy Pop Disc are only the second ones I've acquired. There were also a couple of '83 Topps stickers, which are the first one's I've added in 2018. As always Nick, Thanks for the cards, and my apologies for the delay in posting. Two different cards that were only your second copies? I didn't think that would be possible.